I Am Creating A Series Of 100 Books. Should I Self-Publish…Or Not? I am the creator of (name removed), a series of coloring books. I am also studying to become a children’s book illustrator. My series, therapeutic in nature, will include 100 different coloring books, and is aimed at a specific audience. The reason I am contacting you is I have been on the Quora website and your name was mentioned as the perfect person to contact for a little bit of advice. I am struggling with knowing whether I should send my 100 coloring books project to a traditional publisher, or to stay with the POD/Self Publishing route, which I am on now. How do I know if my book is good enough? If you self-publish 100 books, that’s going to be an expensive endeavor. I reviewed your information and you really do have a good idea. For a series of books like that, I recommend you try to land a traditional contract. However, it’ll be easier to do that if you can prove high sales of your first few self-published editions. One Response to "I Am Creating A Series Of 100 Books. 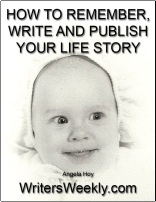 Should I Self-Publish…Or Not?"